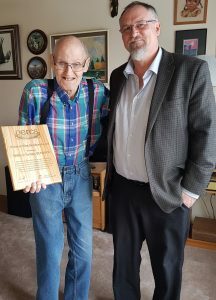 Bill Foster, VE7WWW, received an Outstanding Service Award from Emergency Management BC for his many years of service to the Provincial Emergency Radio Communications Service (PERCS). Regional Manager Mike Knauff from the EMBC Central Region office presented the award to Bill on February 8, 2018. With deepest appreciation for 14 years of exceptional performance and tireless dedication to emergency radio communications, and in recognition of the thousands of hours of volunteer service you have selflessly provided to the Province of British Columbia and the Provincial Emergency Radio Communications Service. Bill has been an key volunteer in the Central Region radio room, supporting exercises and activations over the past 14 years in Kamloops. Due to the rapidly evolving weather causing significant issues on roads around the EMBC facility on Keating Cross Road, VE7PEP will STAND DOWN this evening, Wednesday, Feb 8th. 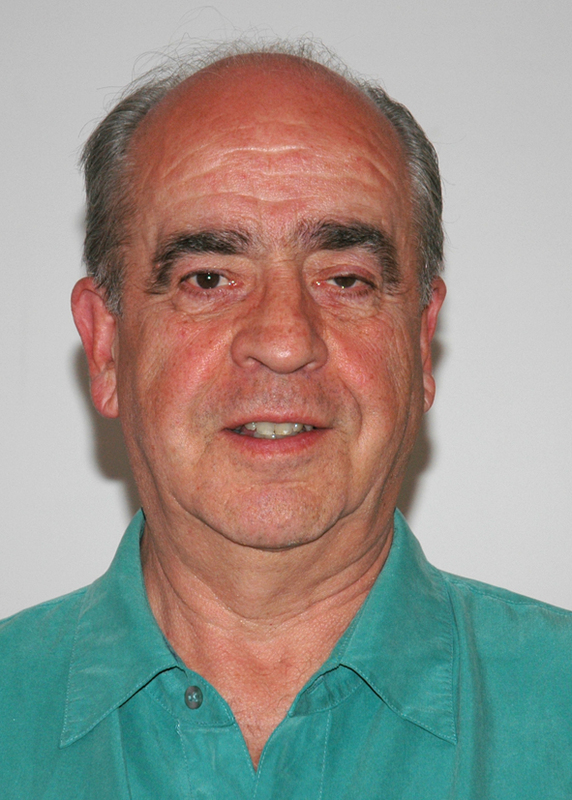 It is with great sadness that we announce the passing of Doug Barry (VE7WLF / VE7TP). An outstanding radio amateur, mentor, teacher and colleague, Doug leaves behind a tremendous legacy. For several decades, he has been among the most visible proponents in the development of emergency communications. A long time Public Safety Lifeline Volunteer and dedicated advocate of Emergency Management in British Columbia, Doug was the President of the Delta Amateur Radio Society, and a very active member of the club. 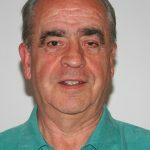 He was also well known in aviation from his distinguished career as an air traffic controller at YVR and continued active involvement in the Civil Air Search and Rescue Association and PEP Air. Doug had a tremendous commitment to his community, and he also shared his time and talents with Vector, the North Delta COPs Office, Operation Red Nose, and volunteered with the Tsawwassen First Nation for their Canoe Journeys. As the Municipal Emergency Radio Communications Coordinator for the Corporation of Delta, Doug played a pivotal role in the development of the Corporation of Delta’s Emergency Radio Communications program. Despite recent health concerns, Doug continued to take on new responsibilities such as working with the BC Government on distracted driving legislation. Doug was dedicated to the business of supporting people, whether by encouraging new volunteers, training new recruits, or finding new and innovative ways to meet the needs of people impacted by disasters and emergencies. He was thoughtful in his approach, methodical in his delivery, and gentle in his critique. Doug was kind, considerate, and the true measure of a gentleman. After serving Delta for many years as a valued member of the Emergency Management team, Doug’s unwavering commitment to his community is demonstrated in the legacy that he leaves behind. Today we lost an amazing volunteer. He may be gone, but he will never be forgotten. We offer our sympathies to Doug’s wife and family, and share in their grief. His Celebration on Life will be held at Boundary Bay Airport, 7800 Alpha Way, Delta, on Sunday November 27 at 1400 hours. The family wishes to express gratitude to all who knew and loved Doug, and for all your kind expressions of sympathy. If you wish to honour his memory, in lieu of flowers, please consider donations to O.W.L. (owlcanada.org), BC SPCA (spca.bc.ca), Nature Canada (naturecanada.ca), or volunteer some of your time to a community event or organization. A complete obituary is available at www.bakerviewcrematorium.com. Please see this flyer for further information on Exercise Coastal Response 2016. In the wake of the April 16 earthquake in Ecuador, the Amateur Radio community is being asked to keep 7.060 MHz clear for “Cadena HC” emergency traffic. DXpeditions operating RTTY on 40 meters are requested to keep pileups below 7.060 MHz. The 7.8 magnitude earthquake has resulted in dozens of deaths and many more injuries. Most earthquake damage has occurred in the Guayaquil (HC2) and Portoviejo/Manta (HC4) areas of Ecuador. Well-known DXer Lilian de Ayala, HC4L, in Portoviejo — the capital of Manabi province — is safe, but some structures in Portoviejo and Manta suffered severe damage, with many victims reported to have been buried in the rubble of collapsed buildings and homes. Electrical power and commercial telecommunication systems have been either destroyed or knocked out in the affected area, and hams in the HC4 district have been operating by using mobile stations or battery power. Many roads have been rendered impassable because of earthquake rubble. The Cadena HC emergency frequency is now active and running 24 hours per day on 7.060 LSB. Hams in Ecuador have been reported very busy coordinating search-and-rescue activities. Please note change in 20 Meter frequency to 14.140 Mhz USB. Net Announcement Inviting all Amateur Radio Clubs, official local government stations and individual Hams in British Columbia to participate in EOCX Coastal Response 2016 led by Emergency Management BC. EOCX Coastal Response 2016 is a functional exercise led by EMBC in coordination with stakeholders from agencies and organizations across British Columbia. The exercise is designed to test communications systems and provide an opportunity for EOC personnel to train and refresh their understanding of procedures. This exercise is a preparatory step towards the full scale Coastal Response 2016 exercise scheduled in June. EOCX Coastal Response 2016 will be conducted on Tuesday, 12 April 2016. The communications tests associated with EOCX Coastal Response 2016 will include the activation of provincial HF nets. 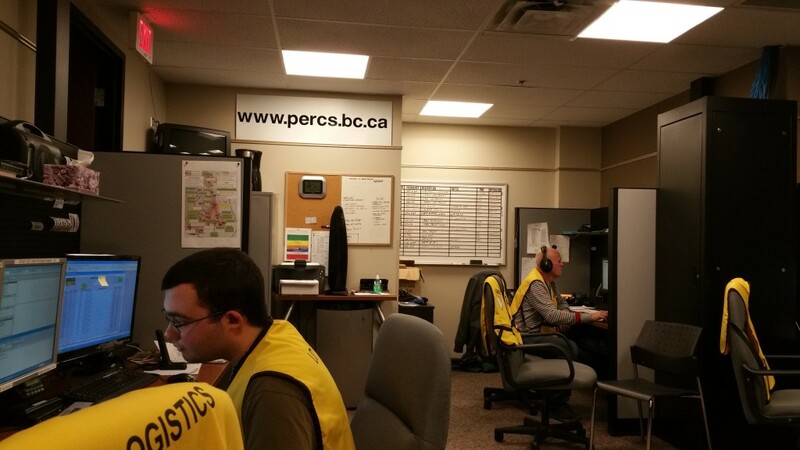 VE7PEP participated in a mini-exercise along with the EOC radio rooms of Victoria, Esquimalt, Oak Bay and CRD. The scenario was a large earthquake event 100 km west of Victoria which impacted telecommunications. Radio Operators included Russell Gaudin (VA7RPG), Kyle Gillespie (VE7ZXT), Nelson Dewey (VE7FTL) and Neil Townsend (VE7NIL). AJ Bryan (VE7KSN) was participating in the exercise as an EMBC staff member. on the passing of our great friend Bryan Farrar, VE7 BFY. Bryan passed away peacefully at home last night (Sunday, 3 January 2016), with his family by his side. One cannot fully appreciate the love Bryan had for amateur radio, and for all of us whom he enjoyed it with, nor can we comprehend the void that will left behind by his passing. I cannot think of a single Vector member that Bryan did not touch in one way or another. Either through helping many of you obtain your licence, equipping you with your first amateur radio, digging something out his mole hole that you needed, or sharing his wealth of knowledge. Bryan was one of the longest running members of both the Telephone Pioneers Amateur Radio Club and the Vancouver Emergency Community Telecommunications Organization. Providing countless volunteer hours as both a member and Board member of both organizations. It is impossible to take the time to mention the multiple awards Bryan received, or even begin to list the numerous projects Bryan spearheaded, that has undoubtedly left all of us in the Lower mainland, and Province, with a remarkable network of amateur radio equipment, that I’m convinced, one day, we will be very grateful for. It will be hard to imagine not hearing Bryan check into the Vector weekly net this coming Wednesday night, like he always managed to do, unless he was on one of his many worldly vacations with his loving wife Linda VA7 LDA. In honour of VE7 BFY, I am asking all of you to make a special effort to check in to the Vector net, on Wednesday, January 6th. at 2000 hrs. 145.170 MHz –600 kHz. I know Bryan will be listening, and it would put a smile on his face. In 1999 I joined the provincial Radio Advisory Committee as the staff liaison from the Provincial Emergency Program. Bryan Farrar was a member and remained on the committee for a number of years. With a background in Emergency Social Services Bryan also represented the interests of the Telephone Pioneers Amateur Radio Club (TPARC) and the packet radio network which remains operational today. While Bryan was experienced and passionate about Amateur Radio, I was a newcomer to the hobby. Very quickly, I developed a solid friendship with Bryan – a HAM who knew and readily shared so much, in the service of others. Good-bye Bryan. We will miss you. Bryan Farrar, 75, passed away peacefully at home after a short but courageous battle with cancer. He will be greatly missed by all of his family and friends. Bryan was particularly known for his passion and dedication to amateur radio. A memorial service will be held on Saturday, January 9, 2016, at 2pm at St. Augustine’s Anglican Church, 8680 Hudson Street, Vancouver. In lieu of flowers, memorial donations may be made in Bryan’s name to either the Canadian Cancer Society, or to a Memorial Park Bench in Fraser River Park, Bryan’s favourite park. (https://donate.vancouver.ca/sslpage.aspx?pid=350). God has him in his keeping; we have him in our hearts. EMBC amateur radio stations will be STOOD DOWN and PEP HF net activity will be CANCELLED the evening of Wednesday 11 November 2015 in recognition of Remembrance Day.